Those who do not know much about Croatia can be forgiven for not realising that wine is as much a part of life here as it is Italy, a country which sits on the opposite side of the Adriatic Sea. In fact, wine has been a part of this region since the days of the Ancient Greeks, who had settled parts of Dalmatia in the 5th century BC, including the islands of Hvar, Vis, and Korčula (birth place to Marco Polo). In time, the Roman Empire expanded into Dalmatia – then peopled by the Illyrians - bringing with it more modernised methods of cultivation, and under Roman rule Dalmatian wine saw itself being exported to other parts of the Mediterranean, and beyond. Eventually the Croats would come to live here, and they saw fit to further expand the region’s wine production. Croatian wines would be welcome at the Austrian and Hungarian courts, and with many a farmer relying on his own vines to keep him in wine then you could be assured that quality levels were kept quite high. The country’s history being what it is it’s perhaps not such a surprise to discover that some of the wineries are not so well known, even nationally, but it won’t be long before all of that will change. Here, we’ll look some of the more tempting local wines. Plavac Mali, or Little Blue, is a variety of red grape closely related to Zinfandel and Primitivo. It is grown almost exclusively on the western side of the island of Hvar and the Pelješac peninsula. The wine it produces tends towards a deep purple-red colour, high in tannins, extract, and alcohol. Normally presenting a rich, dry taste, the better vintages will be more mild and sweet. Those who know such things recommend that such reds be enjoyed with red meat dishes, black olives, and salted anchovies. Dingač is a variety of Plavac Mali and is considered by many to be the Holy Grail of local wines, and can only be grown in this region as a result of very specific geographical conditions. Such is its importance to Dalmatia that in 1961 it fell under the protection of the Geneva Convention, the first Croatian wine to do so. It is of a deep ruby red colour, of an exceptionally unique and luxurious bouquet, a nicely accentuated aroma, and a harmonious fullness of taste. Dingač was joined in 1967 by Postup, a top-quality red wine created from the grapes of the Plavac Mali variety, exclusively from the location of Postup, which is on the southern slopes of the Pelješac peninsula. Postup is a darker red, with a full, harmonious taste with a touch of crispness. Now, while it’s true that Dalmatians prefer red wine to white (the opposite would be the case in Croatia overall), there are more than a few high quality whites available. Rukatac, however, is the gleaming jewel in Dalmatia’s crown. An endangered grape to be sure, it is indigenous to the peninsula. It can be found from Prevlaka to the Croatian coast, and again on the islands of Korčula and Lastovo. Wines made from rukatac are ideal for dessert wines, known as prošek. It is often greenish to golden colour with an extremely pleasant bouquet. Like most other whites, this is best while it is still young to drink during the first or possibly second year. There are other producers on the peninsula of course, and it would be remiss to neglect names such as Korta Katarina, Skaramuča, Madirazza, Matuško, to list but a few. The area’s wineries are generally inclined towards a wholly welcoming atmosphere, with Udruga pelješki vinski puti (Association of Pelješac Wine Trails) and Plavac mali being just two associations which put considerable effort into ensuring grape quality and the promotion of the peninsula’s wine growers and wine trails. Detailing any one of the many wine trails would take too much time and too many print inches. 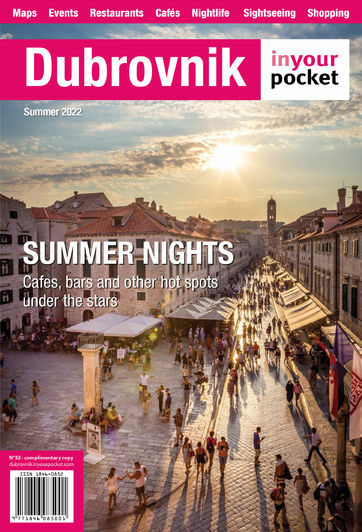 Needless to say that any tourist may put their fate in the hands of a seasoned local or tour guide and take advice from them – or put the effort in and plan your own tour of this Croatian exclave. More than a few tour operators will bring buses and boats onto the peninsula from Split and Trogir, and if you’re time is flexible enough then it’s well worth taking the day to get as many wineries and vineyards in as possible. Make sure you find yourself near Ston, because you’ll want to sample the oysters as well as the wine. Wine trails, or roads, are an important economic tool for any region such as the Pelješac peninsula. When you’re not only removed from the centre of the continent but from your own country too, you must do all in your power to ensure that your tourism sector is doing its best to attract – and keep – as many visitors as possible. Wine trails are not a new concept as well worn roads emerged over centuries of use as producers moved their wine to market. The more worn the road the more popular – it’s reasonable to assume – the wines which are produced within its vineyards. Alongside these wine trails a healthy gastro-tourism sector is developing; after all, you do need to eat if you’re going to be drinking several glasses of wine over the course of a day. With Dalmatia offering a variety of local and Mediterranean, you’re never likely to try the same dish twice even if you’re dining out each night of a holiday. Wine shop Pijavičino i Viganj - Open for public from May to October from 9 am to 9 pm.